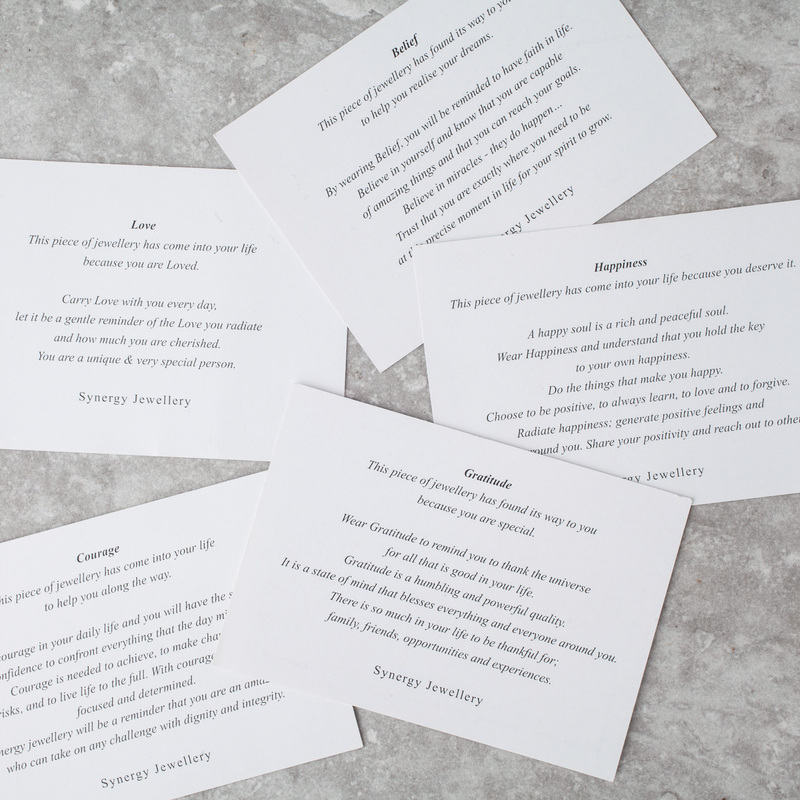 Choose your Affirmation from the drop down menu. Love, Belief, Courage, Gratitude or Happiness. 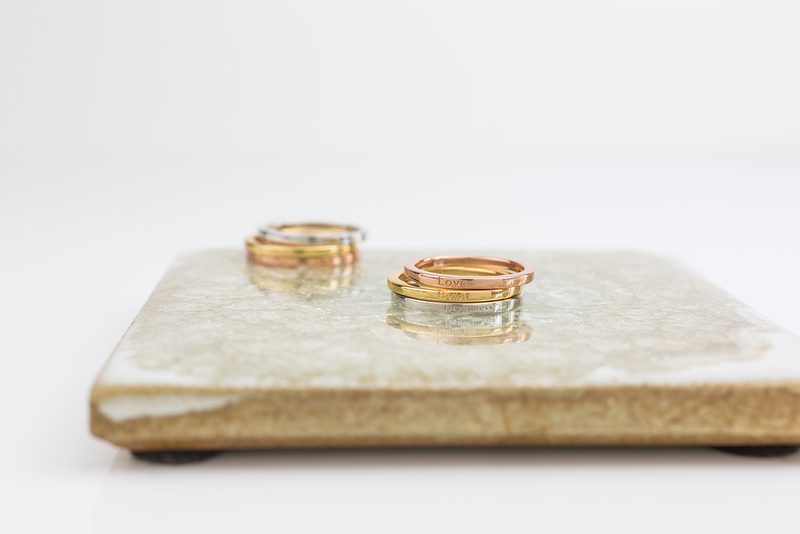 Each ring is packaged with a beautiful message card relating to each word. 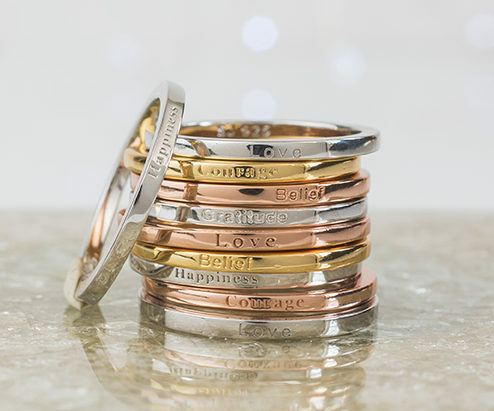 Set of 3 stacking rings in 925 sterling silver, each ring is inscribed with a beautiful affirmation; choose from Love, Belief, Courage, Gratitude or Happiness. 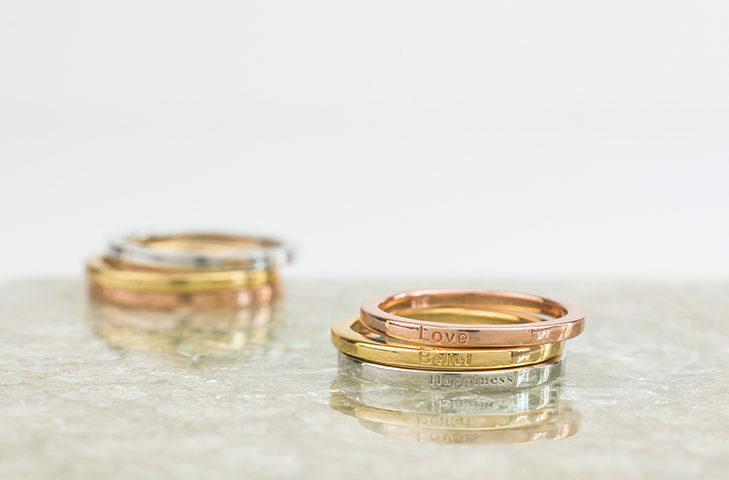 Each ring is packaged with a beautiful message card relating to each word. 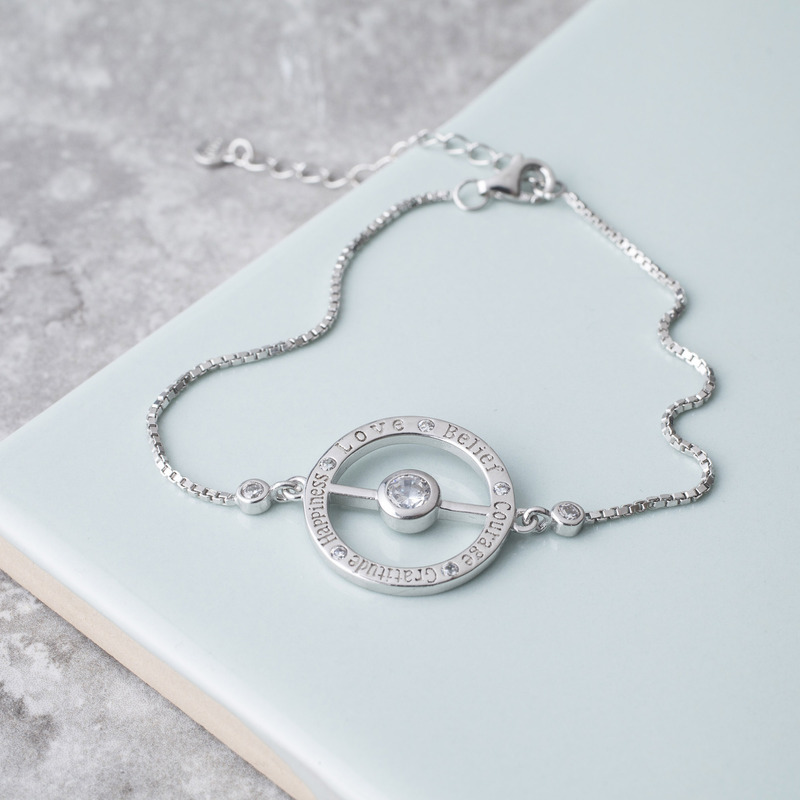 This piece of jewellery has come into your life because you are Loved. Carry Love with you every day and let it be a gentle reminder of the Love you radiate and how much you are cherished. You are a unique and very special person. 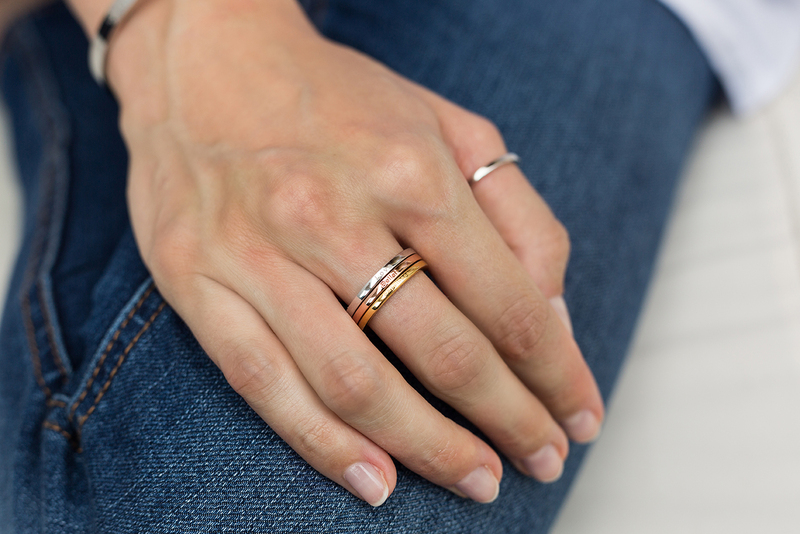 This piece of jewellery has come into your life to help you along the way. Have Courage in your daily life and you will have the strength and confidence to confront everything that the day might bring. Courage is needed to achieve, to make changes, to take risks, and to live life to the full. With Courage, you are fearless, focused and determined. 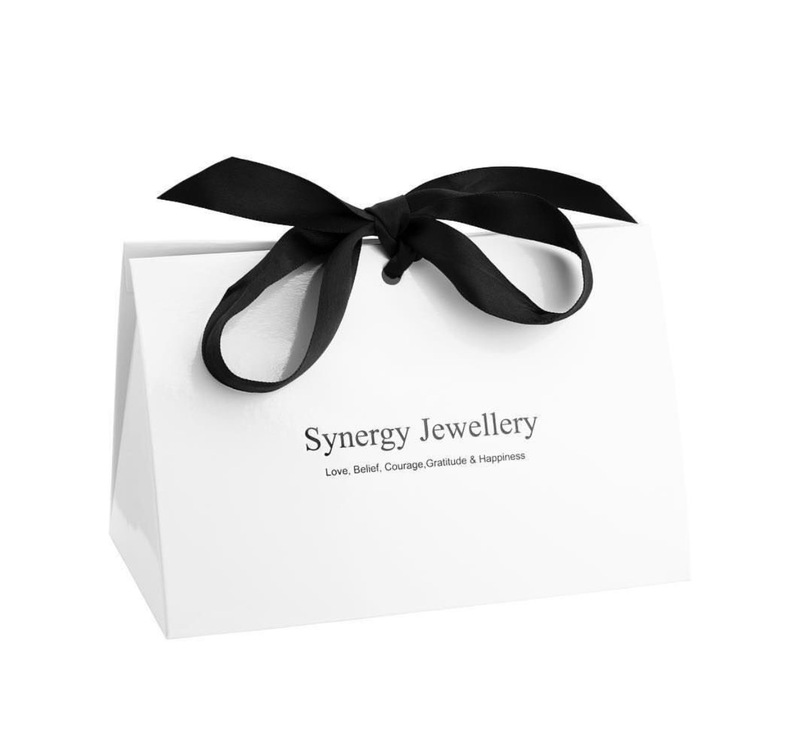 Your Synergy jewellery will be a reminder that you are an amazing person who can take on any challenge with dignity and integrity. 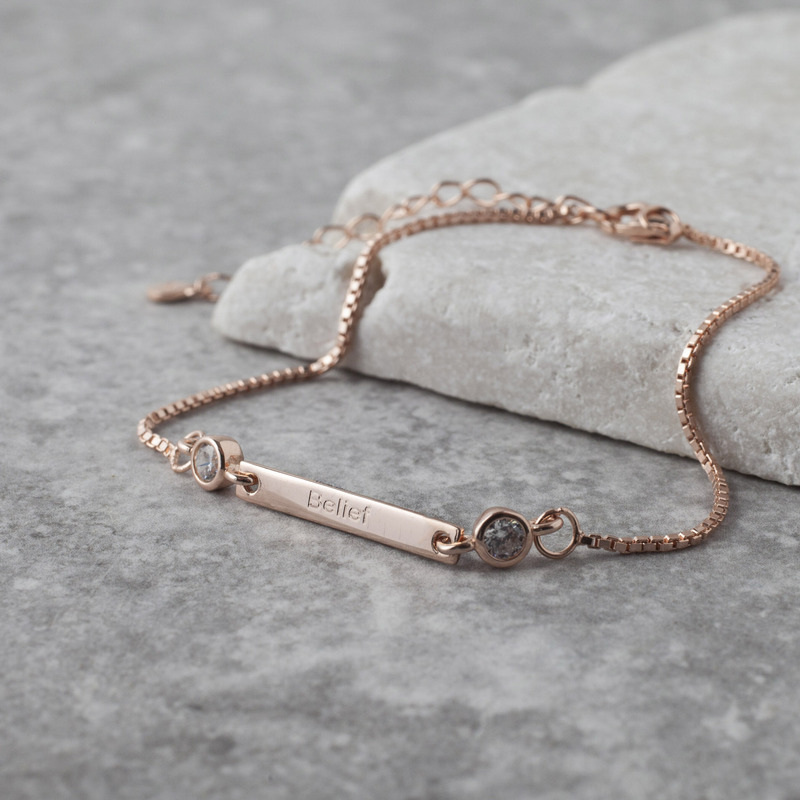 This piece of jewellery has found its way to you because you are special. Wear Gratitude to remind you to thank the universe for all that is good in your life. Gratitude is a humbling and powerful quality. It is a state of mind that blesses everything and everyone around you. There is so much in your life to be thankful for; family, friends, opportunities and experiences. 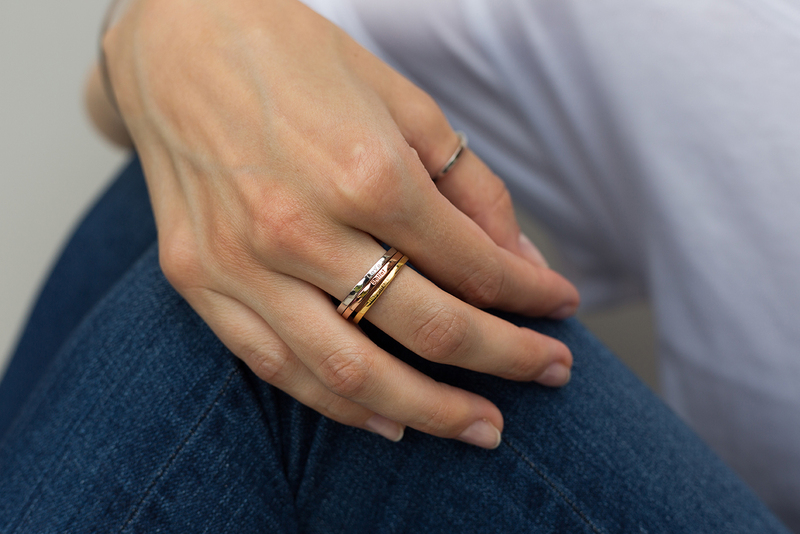 This piece of jewellery has come into your life because you deserve it. A happy soul is a rich and peaceful soul. Wear Happiness and understand that you hold the key to your own Happiness. Do the things that make you happy. Choose to be positive, to always learn, to love and to forgive. Radiate Happiness; generate positive feelings and emotions around you. Share your positivity and reach out to others.